For the next few weeks, I plan on painting and profiling mythological creatures and the history behind them. 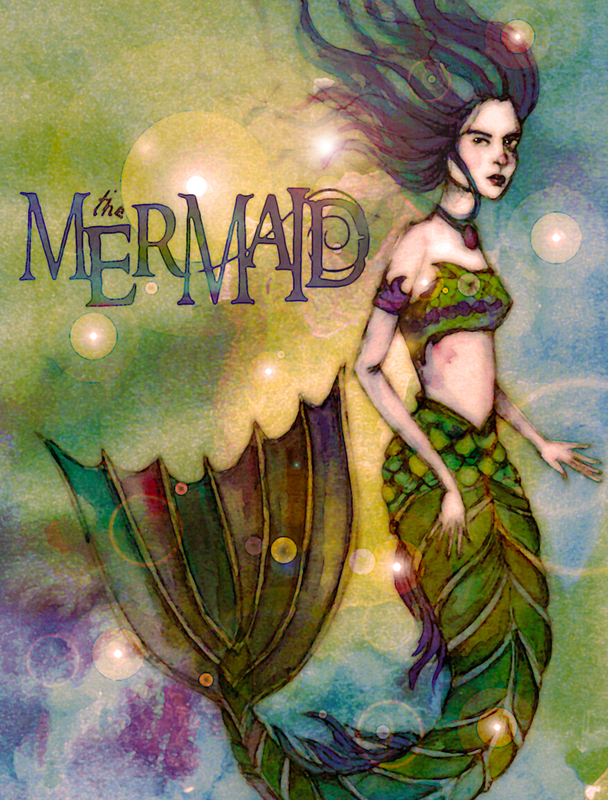 Mermaids have appeared in folklore and pop culture for over 3000 years. They are most often portrayed as beautiful women with a long fish tale (sometimes one, sometimes two tails). From romantic stories to horrific tales of terror, the mermaid seems to have left a mark on seafarers no matter where in the world they were. There have been recorded sightings for almost all of time- which can be best explained by misunderstood encounters with various sea creatures, hell, even Christopher Columbus reported seeing them when sailing through the Caribbean. The earliest artistic depiction of these beauties can be found in Durham Castle (British Isles). Built in 1078, a carving can be located in one of the pillars that would seem to be a half-woman, half-fish creature. Oddly enough, Mermaids are an unlucky omen in those parts, as they were thought to only speak to doomed ships or be a sign of bad weather.